BioCleanse® Processed BTB Select® Allograft - Products - RTI Surgical Holdings, Inc. The BTB Select® allograft is an innovative solution that allows for precision size-matching relative to the intra-articular length of the patient. The BTB Select allograft is sterilized through RTI’s BioCleanse® Tissue Sterilization Process without the use of irradiation, which inactivates or removes potential pathogens from tissue using a specific formula while maintaining the tissue’s biomechanical properties. Sterilized through the BioCleanse® Tissue Sterilization Process without the use of irradiation. Assembled technology provides precision-sized matching relative to the intra-articular length of the patient. Natural patellar bone block allows for multiple fixation types. Assembled cortical bone block is constructed with proprietary anti-slip design, to keep tendon from slipping through bone blocks. Assembled cortical bone block is secured with three interference fit machined cortical bone dowels to ensure maximum stability of the construct. Interference screw channel on assembled cortical bone block aids with interference screw fixation. 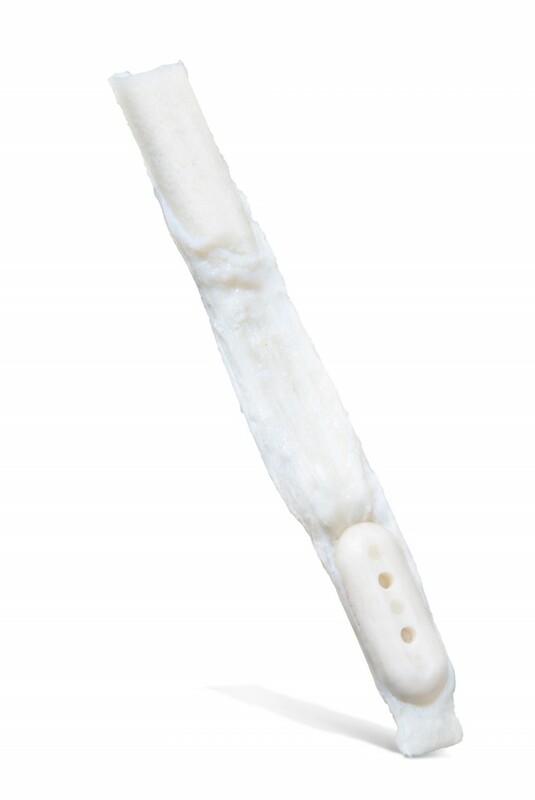 Assembled bone block allows for use in a standard 10mm tibial bone tunnel. Graft tail allows for supplemental fixation.